The shocking events at Grenfell Tower have rightly brought renewed attention to fire safety in residential property. Over the following weeks, months and years there will be a forensic examination of both what went wrong at Grenfell Tower, and more generally, how the regulatory framework for fire safety can function better. This tragedy must be a wake-up call for any private landlords who see fire safety regulations as a burden to be borne half-heartedly. The risks posed by fire in a typical HMO are different from the hazards faced in a tower block, but many HMOs are at high risk of fire - and need to be treated accordingly. The most authoritative guidance on fire safety provisions in HMOs continues to be the "LACORS guidance" (read here). This sets out how to carry out a risk assessment and what installations are likely to be appropriate to create safe escape routes, and detect and prevent fire. Landlords can draw on the LACORS guidance, as well as expert advice and guidance from landlord associations. There is a legal framework of standards and regulations which all landlords of HMOs must comply with, whether the property requires a licence or not. Landlords of all HMOs must ensure that their properties comply with The Management of House in Multiple Occupation (England) Regulations 2006. These regulations place a duty on the person managing the HMO to ensure that all means of escape from fire in the HMO are kept free from obstruction and maintained in good order and repair. The manager must also ensure that any fire-fighting equipment and alarms are maintained in good working order that notices indicating the escape routes are displayed in prominent places. 4. Putting up signs to mark fire exits, where appropriate. Larger HMOs or those with more complex layouts may require specialist lighting or more signage. In addition to The Management of House in Multiple Occupation (England) Regulations 2006, landlords of HMOs may also need to have regard to the Regulatory Reform (Fire Safety) Order 2005. This Order applies to the common areas of buildings which contain bedsits and separate flats, but not to a HMO where the occupiers share the property on a joint tenancy. The Fire Safety Order (FSO) places more onerous duties on the "responsible person" which would usually be the landlord. These duties include carrying out a risk assessment and, in a broad regulation which imposes wide duties, to take such general fire precautions as may reasonably be required in the circumstances of the case to ensure that the premises are safe". In addition to these rather vague requirements, specific rules such as "emergency doors must open in the direction of escape" are also imposed by the FSO. While the FSO does not always require risk assessments to be recorded in writing, there is little point in going to the effort of doing one if you cannot later show that you did it - so all risk assessments should be recorded in writing. However, if the ‘responsible person’ for the property employs five or more people there is a specific duty to record both the significant findings of the assessment and any group of persons identified as being especially at risk. A risk assessment is a good idea even for HMOs which are not covered by the FSO as they are a clear demonstration of concern for fire safety. Fire is also a hazard under the Housing Health & Safety Rating System ("HHSRS"). Where the local authority feels that there are insufficient protections in place local authorities can serve an improvement notice and require that specific works are done. This, of course, takes fire safety beyond HMOs as the HHSRS can be applied to any residential property. In an unlicensed property, local authorities can serve a remedial notice under The Smoke and Carbon Monoxide Alarm (England) Regulations 2015; this requires landlords to install appropriate detectors and alarms. Licensed properties will now include compliance with these regulations as a compulsory condition, and there will be other conditions requiring specific fire safety outcomes. Whenever significant works are carried out in a dwelling, these works will need to comply with Part B of the Building Regulations 2010. These regulations are very detailed and must be followed to the letter. Complying with Part B is helpful as it will generally be assumed in cases of dispute that a building which complies with Part B will also meet the appropriate standards for the FSO and HHSRS. The safety of furniture provided in a furnished property is also key. All upholstered furniture must comply with the Furniture & Furnishings (Fire) (Safety) Regulations 1988. Such furniture must have a permanent label clearly stating that it passes the "ignitability test" (i.e. they are resistant to ignitability if a lighted match or cigarette is placed on them). Beds and mattresses must comply with the Standard BS 7177. The regulatory framework sets a minimum standard, but landlords should aim higher. In most areas of life we expect our behaviour to be better than merely not quite criminal. All involved in the private rented sector should be seeking to promote a culture of trying to obtain the best protection from fire which can be reasonably achieved in their properties. Rather than consider merely what needs to be done to secure bare compliance with the regulations, landlords should always be carrying out a thorough risk assessment and doing what they can to minimise risks. Inexperienced landlords should seek out help with this from professionals or local authority officers, rather than try to use their inexperience as an excuse for failing to meet regulatory standards. 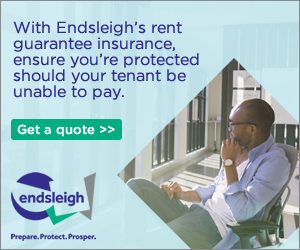 Meeting the minimum legal standards may be enough to avoid prosecution, but landlords can and must do more than the bare minimum to escape the accusation that profit is put before tenants' safety in the private rented sector. The moral case for going beyond the minimum is compelling and the sector will need to be seen to take this issue seriously otherwise further regulation is likely to be imposed. 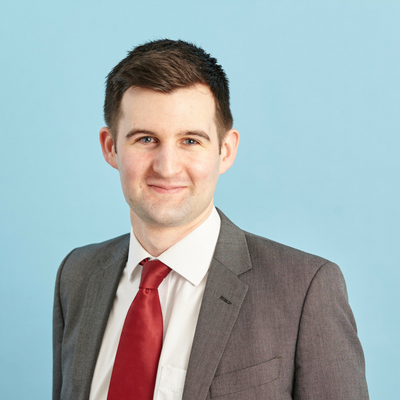 If you have any questions and would like legal advice, please contact Robin Stewart, Solicitor, in the Housing Team at Anthony Gold. His email is ros@anthonygold.co.uk.